Fifteen minutes later, after waiting for the dust kicked up by the thrusters to settle back to the ground, InSight’s two circular solar arrays will unfold to begin recharging the spacecraft’s batteries. The arrays would generate about 1,300 watts of power on Earth, but at Mars, with its relatively dusty atmosphere, they’ll manage just 300 to 600 or so. 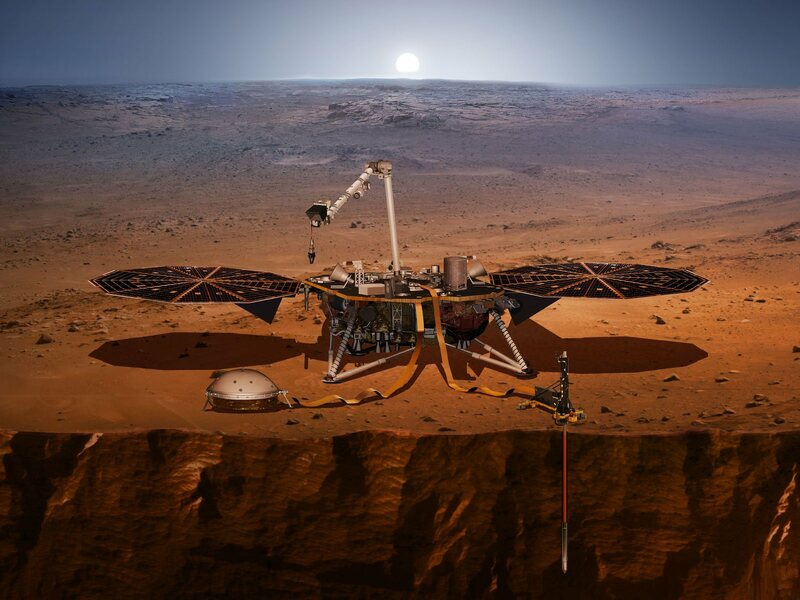 The entry, descent and landing sequence was timed to coincide with the passage overhead of NASA’s Mars Reconnaissance Orbiter, which is programmed to record UHF telemetry radioed up from Insight during its plunge to the surface. That data will be stored on board the orbiter and relayed back to Earth about three hours after touchdown. 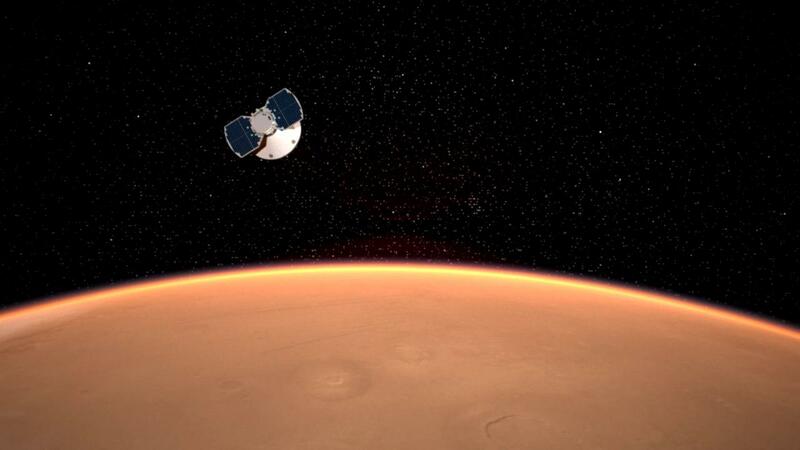 Realtime data will be beamed back from two experimental spacecraft known as Mars Cube One — MarCO — A and B that were launched with InSight back in May. They are the first so-called “CubeSats” to make an interplanetary voyage and they are the primary way flight controllers will be able to follow InSight’s descent. Unlike the much more sophisticated Mars Reconnaissance Orbiter, the MarCO spacecraft, which cost about $18.5 million to build, feature radio gear that can take in UHF signals from InSight and immediately relay them back to Earth at X-band frequencies. 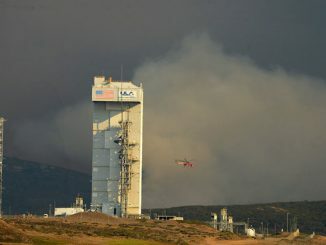 “If it works, the two MarCO spacecraft will relay the data for InSight entry, descent and landing almost as it’s happening, which will be very cool for both the MarCO team and the InSight team to figure out what’s going on with the lander as soon as possible,” said Anne Marinan, a manager of the Mars Cube One project at JPL. Regardless, InSight — the convoluted acronym stands for Interior Exploration using Seismic Investigations, Geodesy and Heat Transport — will send a computer-generated “tone” directly back to Earth seven minutes after touchdown to indicate its general health. But detailed telemetry will not arrive until the Mars Reconnaissance Orbiter relays its stored data three hours after touchdown. Confirmation the solar arrays deployed normally will be relayed back by NASA’s Mars Odyssey orbiter about five-and-a-half hours after landing. But if it works, InSight will pay off with the first detailed look at the interior of Mars, providing long-sought answers to questions about how planets were assembled when the solar system coalesced from a cloud of debris 4.5 billion years ago. 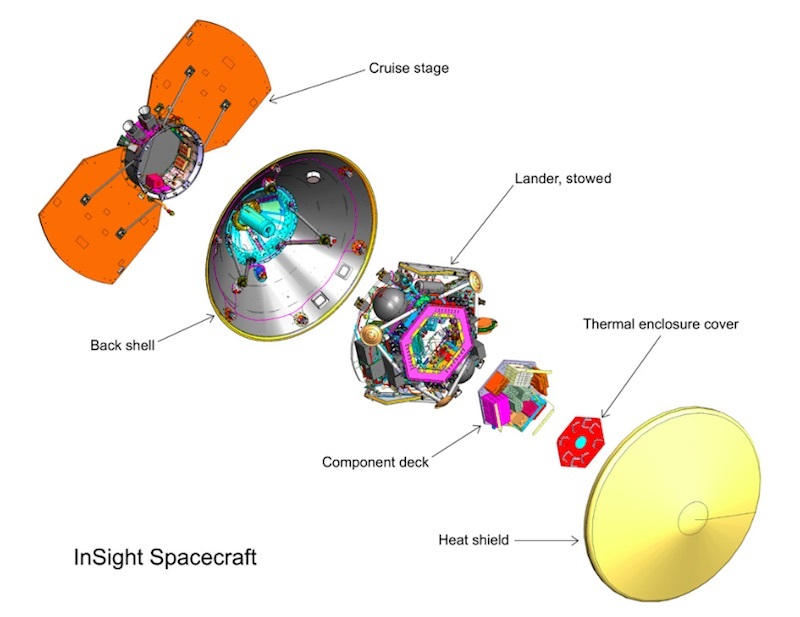 InSight is equipped with two primary instruments: the Seismic Experiment Interior Structure — SEIS — seismometer, provided by the French space agency, CNES, and the Heat Flow and Physical Properties Probe — HP3 — provided by the German Aerospace Agency, DLR. The two instruments cost the European space agencies about $180 million. To work properly, both instruments must be lowered to Mars’ surface with a robot arm and both require a relatively flat, rock-free area near the base of the lander. The Elysium Planitia landing site was chosen because it provides just that. 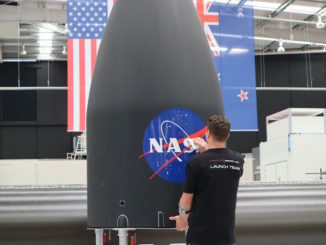 Engineers will use cameras on the lander to precisely examine the area around the spacecraft to make sure the instruments are placed in the best possible location. But it won’t be quick. 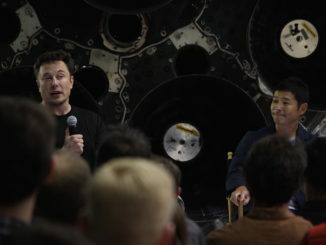 “It’s kind of a laid back, slow-motion mission compared to a lot of things that we’ve done before,” Banerdt said. “It’s going to take us probably two or three months, at least, to get our instruments down. We have to do a survey of the area in front of our spacecraft, make sure we don’t put the instruments down on a rock or in a hole or something like that. The seismometer is capable of detecting movements smaller than the width of a hydrogen atom, to record the faint vibrations of remote marsquakes, meteor strikes and even the slight tidal tugs caused by the passage of Mars’ two small moons, Phobos and Deimos, to map out the planet’s inner structure. The self-hammering temperature probe will pound its way to a depth of up to 15 feet to measure temperature changes and, by extrapolation, determine how much heat is flowing out of the core deep below. In a third investigation, precise analysis of radio signals from the lander as Mars rotates will enable scientists to determine the exact orientation of its polar axis as it slowly wobbles, or precesses, due to the core “sloshing around” in the deep interior. From those data, they hope to determine the core’s size, density and composition. The goal is to help scientists understand how the solar system’s terrestrial planets — Mercury, Venus, Earth and Mars — formed and how they evolved into the very different worlds we see today. But on Mars, a planet half the size of Earth where plate tectonics and a churning mantle are not at work, evidence of the planet’s early history is still preserved in the deep interior.